By GARY OGAN // The Portland musician's days out in the woods with Leon. 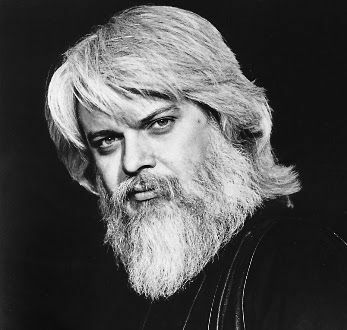 See A Poem is a Naked Person, Les Blank's documentary on Leon Russell as part of NW Film Center's 34th Reel Music Festival on Thursday, January 19 @ 7pm at Whitsell Auditorium of the Portland Art Musem. Tickets. From the moment Diane Sullivan dropped me off at the front door of Leon and Mary's home in Encino, California in 1977, where he greeted me and the adventure began, to the last time we visited on his bus in 2015, I loved and admired the man. His only advice to me, which I got early on, was "be careful what kind of script you write for yourself." All these years later, I realized I had never written about the year and a half I lived, co-wrote, co-produced, toured, and hung with the master of space and time. We became close buds, and these were powerful, life-changing days for me. I'm blessed to be able to share some very special and fond memories of them now. Above and beyond everything that's been written and said about Leon, and despite the public persona, I was most impressed with how gently he walked through this world, his intelligence, generous spirit, sense of humor, sense of wonder, and always his own awareness of the warrior he was. Then of course there was all that talent and magic. 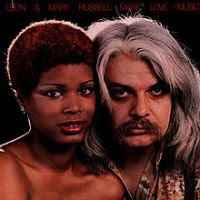 Although he first appeared on the scene in 1969 as part of a duo with Marc Beno on Shelter Records, by 1977 Leon had decided to cut ties with the label where he had released his first 10 albums. It was a good run, but when Mo Ostin offered him a boutique label of his own at Warner Brothers, the time became right for the birth of Paradise Records, and as luck would have it, I was the first signed artist. There was no better place for a new artist such as myself at the time. Things were always abuzz with the best I could ask for, and I pretty much got to call my own shots. It wasn't lost on me how lucky I was to have Leon personally ushering me into the LA music scene of the late 70's. Because of him, I was afforded a level of artistic freedom that I know I would not have found anywhere else. The first music of Leon's that really caught my attention was the fifth studio album on Shelter called Carney. Its two radio hits, "Tight Rope" and "Out In The Woods," were particularly funky tracks that stood out. 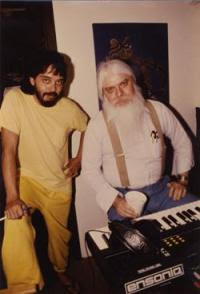 My longtime friend, Marlin Greene, worked as an engineer on the record, and shared a story of how the studio door was accidentally left open one night, and as he was heads up enough to push the record button, the song "My Cricket" was captured in its real time birth, both the composing of the song and the master recording of it (complete with chirping cricket), all in one take. 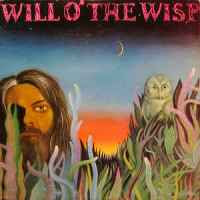 With the release of Will O' The Wisp, Leon's general propensity for groundbreaking continued as he nurtured a new trend of recording multi-layered percussion and background vocals (by Mary McCreary) on many of the tracks. The opening two songs, "Will O' The Wisp" and "Little Hideaway," were joined into one bold opening five minutes. Other favorites included "Bluebird" and "Back To The Island." By now, I got that Leon was a great songwriter and record maker, highly-gifted, adventurous, and unafraid. He was masterfully harnessing all the Mad Dogs alchemy into his own unique solo works of high art, all the while making abundantly clear his disdain for corporate efforts to influence him, and hence endearing himself all the more to his fans.Somebody had to be "the Master Of Space And Time," right? It's particularly satisfying to crank up the vinyl versions of these landmark albums. Leon and Mary McCreary were married in 1976. That year, my all-time favorite Leon album was released. It also marked the beginning of his relationship with Warner Brothers as The Wedding Album become the first release on Paradise Records. From start to finish, every track sparkled, leapt off the turntable, and grooved heavy. My favorite was the opener, "Rainbow In Your Eyes." The album was a tour-de-force and had a mysterious credit on the jacket to "the fantastic Stephens 40 track machine." Industry standard for analog and everyone else at that time was 24, and ultimately never made it past the 32-track, so this credit was of particular interest to me and went a long way in explaining the finely-orchestrated lushness the whole album had. It also raised the bar once again for Leon as trailblazer and innovator. With the release of The Wedding Album, I had officially become a huge fan, and as fate was about to step in, I would be tapped for the daunting task of co-producing the follow-up to this rather perfect opus. 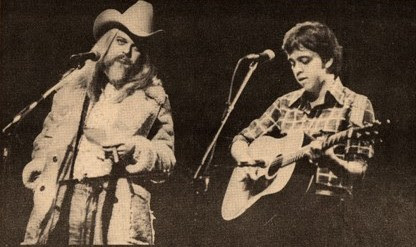 Having ended a high school duo with buddy, Bill Lamb, that saw us signing our first major label deal with Elektra Records in 1972, I made use of the remaining time I had under a Portland production agreement by recording an album's worth of fully-produced demos as a solo artist. Greg Branson, my engineer/co-producer, flew to LA to hand deliver my music to a select group of labels, and as I had just read about Leon's new adventure, when asked if I wanted to add any labels to the hit-list, Paradise Records leapt to mind. Greg was able to get one of my cassettes to the desk of Diane Sullivan, Leon's girl Friday at the Warner Brothers offices in Burbank. She heard the tape, liked it, and dropped it off at Leon's, where Roger Linn (in-house engineer at the time and inventor of the Linn Drum Machine) heard it and liked it as well. He played it for Leon, and they called me at home. Leon raved about my music, said he dug that I played and sang all the parts myself, and wanted to know if I could come to LA. I, of course, said yes and was flown down for the weekend. We hit it off and solidified plans for my return and relocation. It was that simple. In fairly short order, I was brought into the fold, signed my contract, and moved into the guest bedroom at Leon and Mary's. Mere moments after first meeting and getting over the shock that he had shaved off the beard, we were sharing a joint and some laughs in the TV room. Then it was off to the studio, wherein sat two grand pianos side by side in the middle of the main room. I was asked to take one, and Leon went to the other. There was a napkin with some writing on mine. I asked about it and was told Barbara Streisand had been over, and they had written a song together called "Lost Inside Of You," for her movie A Star Is Born. It was her own hand-written lyrics on the napkin. On that note, we began trading songs. This went on for awhile, then it was time for another joint and a few more laughs. Somewhere in that first one-on-one jam, I got my first up close and personal Leon scream. We were alone, and he was singing that song for me - then bam! he cocked his head over just a bit, showing those pearly whites, and let rip with one of those exquisite screams. I was impressed! Then it was time to meet Mary. Leon asked me to play a particular song of mine for her. Seeing them together was extraordinary. I was mesmerized by them both and very saddened to hear their marriage had failed less than two years later. For now though, theirs was a house filled with love, fellowship, and spirit- filled music. As the Linn Drum machine began demanding more of Roger's time, it eventually brought about his moving on, at which point Leon needed a new, in-house, 24/7 engineer. He liked my suggestion of Greg Branson, my Portland engineer, who wasted no time jumping at the opportunity to join us in LA when I called. Soon thereafter, we were sharing the guest bedroom and having the time of our lives. The first order of business was to produce a follow-up to The Wedding Album. Leon had a few songs already written, but one exercise he introduced and we did together most days was sitting at typewriters and typing 30 minutes of stream-of-consciousness prose, after which the writing would be put away without looking at it. 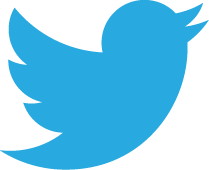 Later, we would review the work to see if any musical ideas might be lurking. This is how the two songs we co-wrote for the Make Love To The Music album were written. "Now Now Boogie" and "Say You Will" both happened to be Leon's lyrics, and the music I came up with virtually wrote itself. Of course, I was delighted when "Say You Will" became the second single off the album and was eventually covered by two other Warner Brothers artists, Nicolette Larson and Maria Muldaur. Leon also had an idea for a more epic piece that would take more work, maybe have different mood changes, and maybe need to be edited together. We discussed the idea at length, as he had some trepidation about writing and recording such an ambitious piece. With encouragement though, he went for it, and "Islands In The Sun" became the last song on Side Two, a production and song I'm particularly fond of having co-produced. We needed drums on the gospel rave-up ending and fade-out of the song, and since I had played drums on several other tracks already, it was decided I'd have a go at it. A simple boom-chuck gospel feel was all that was required. Piece o' cake, I thought. I laid the drums down, and Leon immediately thought they sounded too slick, something I thought I had tried to avoid. Nonetheless, he said he would put the drums on himself, which he did and nailed in a single take. At the time, I didn't think to follow him out to the drum booth to watch him. I had never heard or seen him play drums before, but he totally rocked the kit and captured the perfect funky church vibe he was looking for. So it's one regret I have -- of not taking that opportunity to watch him play drums on that song. Leon worked long hours, always kept the studio temperature somewhat sauna-like, and always had a Swisher Sweet cigar lit up and a jumbo glass of iced tea in hand. And, as it turned out, he had two fantastic Stephens 40-track machines in the control room. I think he said it was a George Harrison session that came closest to maxing out all 80 tracks. Somewhere early on in the recording of most songs though, time would be devoted to recording multiple percussion tracks in Mary's bathroom (for the natural tile echo). Usually this meant several gourd tracks that Leon would play himself, with each being treated to its own VSO setting (variable speed oscillator), in order to achieve that otherworldly wash of percussion you can hear on so many of Leon's productions. 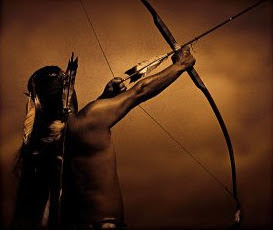 I was amazed the first time I witnessed this and loved hearing the results when he soloed them up in the mix. A small moment behind the curtain of Oz. A man and his typewriter in Toluca Lake. We spent lots of time together outside of work, just the two of us, hanging, talking, going out to lunch, sometimes hitting his favorite burger stand on Sunset, and the occasional acquisition of new gear. It was always quality time, and Leon was always happy to pass along all manner of wisdom and stories. His was a wealth of the sort of knowledge that is priceless to stumble onto and rare to find in one person. One particularly fun aspect of living and working at the Encino house, and later, the Toluca Lake house, was the ongoing revolving door of friends that would stop by to visit. Icons like Jim Horn, Jim Keltner, Howard Roberts, Ben Keith, George Harrison, Freebo, Carl Himmel, and Willy Nelson were somewhat common to see around the house. One night we were hanging when the phone rang, and it was J.J. Cale, announcing he had just gone AWOL from a tour in Oklahoma and wanted to know if he could come over and hide out. On another occasion, we had Connie Stevens over for dinner. Mary had been a background singer for Connie, and they had run into each other while shopping. Then there was the time I agreed to spend an afternoon with Leon and producer Kim Fowley (the Runaways). Leon thought I would be amused. It was a damn freak show. Leon chuckled throughout, and I did my best to get through it. Kim wanted the three of us to write a song together, was giving it all he had, and it was ultimately an exercise in futility, albeit amusing futility. As soon as we had wrapped up work on the Make Love To The Music album, I was to begin work on my own debut solo album. I started by taking a couple of weeks to write 18 new songs and decided my first release should be a double album. Instead, the Red Album, as it came to be known, represented songs the team felt were my strongest. And although I did most of the playing and singing on the record, Leon played a fair amount of piano and organ, and Mary sang some great background vocals on one song, "Everybody Wants Your Love." Other A-list players like Plas Johnson (Steely Dan) and John Guerin (Joni Mitchell) contributed sessions I was able to book that I'll never forget. In the case of John Guerin, we were already halfway through tracking my album, and I had done all the drumming up to that point when it hit me that I had a budget and was living in the same town as a lot of my favorite session players. I called John's union exchange, knowing that being able to drop Leon's name would help my cause. With the release of Joni Mitchell's Court and Spark, I had become a big fan of Guerin's playing. I could hear in the tracks that he was doing something magical with his feet that I had never heard from any drummer, and whatever it was threw his grooves into overdrive. John promptly returned my call, was happy to help, mentioned looking forward to seeing Leon, and we set up a session. I was grateful when toward the end of our session, he volunteered to come back for another, and as none of the work we had him do at the first session incorporated the groove with the magic footwork, I recognized that I suddenly had a couple of days to write a new song that would require him to play that groove. I quickly wrote the song "Everybody Wants Your Love" and when John came back, we laid the basic track down for that song with just the two of us -- drums, Wurlitzer piano, no click, and I made sure to set my piano up slightly behind his drum kit so that I could watch his feet. After he was gone, I couldn't wait to check out the drums and solo up "the feet." It was a sweet moment when I figured it out. Then I had to take the next several months to teach myself how to do it without sounding like someone falling down a flight of stairs. 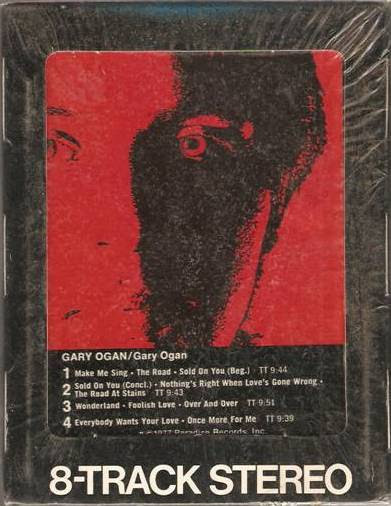 Other special guests on the Red Album included, Marty Grebb (Bonnie Raitt), Dale Krantz (Lynyrd Skynyrd), Portland's own Doug Fraser (Quarterflash), and a horn section I found in a top-40 band at a club on Ventura Blvd. As we were wrapping up with the recording, it was time to create the cover art, and Leon had an idea that I went with. We drove to the nearest passport shop where I sat for a mug shot. 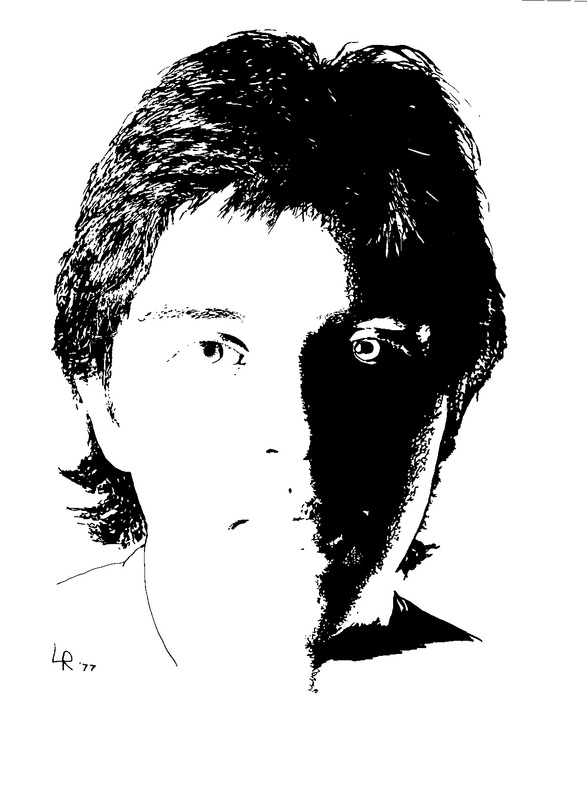 Then Leon set up a projector in the studio, shut the lights out, put my mug shot up on a slab of white paper on the wall, and spent the next few hours carefully, slowly tracing my image with a Sharpie. That bit of work became the cover, and I loved how personal and generous it all was. Wish I would have asked for the original now, but here's a shot of it. 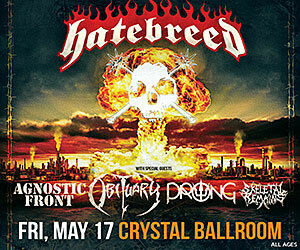 After my record was released, it was time to put the Paradise Roadshow band together and hit the road. Somehow, I found out some guys from Seattle that I had heard in Portland were playing a club in the valley. We went to see them, and Leon dug them. They came to the house for a quick audition, and it was a done deal. Joe Chamey (bass/vocals), Brent Nelson (drums/vocals), and Mike Meros (B-3) became the core, and with the additions of Marty Grebb (rhythm guitar/sax/vocals), Jon Woodhead (lead guitar/vocals), both from LA, and me (percussion/vocals), the band was complete. We worked up a half hour of songs from my debut album that we would do sans the stars of the show and then, without pause, I would jump up to the percussion station as the band launched into "Satisfy You," Leon and Mary's opening number. I have fond memories of my percussion station always being set up right above Mary, and having such a close bird's eye view of those two powerful performers, facing each other at their respective keyboards, delivering one stellar show after another. Being on the road with that crew was a real high point, with lots of adventures and further bonding. Somewhere along the way, Leon gave me the nickname, Bob Scaggs, as in Boz's little brother. I loved it. Here are some rare shots from those days. All in all, touring was nothing to grow weary of, as we mostly went out on weekends only. Highlights were Radio City Music Hall, Universal Amphitheater, and the Fox Theater in Atlanta. There was never an overabundance of time living on the bus. As it was, I loved being on the bus. We all did. Leon would often spell our driver by getting behind the wheel in the middle of the night in his red pajamas and talking to truckers on the CB radio. His handle was Harry Hippie. As the winter of 1977 approached, I was booked as a solo opener for Phoebe Snow on a short run through the Pacific Northwest, five dates altogether, including Thanksgiving night in Portland at the Civic Auditorium. Once the mini-tour was confirmed, Leon mentioned that he and Mary wanted to fly up for my Portland show. He asked if I wanted him to sit in with me. Then he shared the idea he had hatched. He and Mary would watch my set from the wings, then he would step out unannounced after my last song for a duet of "Homeward Bound." He would sing lead, I would sing backup, we would do the song in the key of C, I would capo my guitar at the 8th fret and play the song in the G position. Once again, I loved how much thought he had put into such a generous gesture. It came off great too. The place went nuts when he walked out, and the ovation would not stop after we left. Here's a shot of that performance. For all the magic and good fortune Leon was to manifest throughout his life, he also managed to align himself with more than his share of those who would hurt him in one way or another. One of those people was the reason I had to make the extremely tough call to move on from my affiliation with Paradise Records. Leon was not pleased with my decision, said he couldn't let the guy go, and that I was leaving too soon. As it turned out, it was only weeks after I was gone that the employee in question was fired. On one of my last visits to Leon's home in Toluca Lake, I walked in on a session that had just wrapped. There had been no recording going on at the time, so the occasion had been spontaneous. 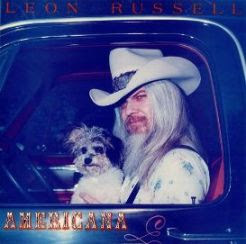 Leon and Mary had recently gotten a little dog named Shadow, who can be seen in the pickup truck with Leon on the cover of the Americana album. On this particular night, there had been an argument, and Mary had driven off into the night. Shadow had started crying, and not unlike the night the studio door had been left open, and the cricket had became the impetus for Leon to write his song "My Cricket," Shadow's crying became the backdrop to a beautiful and haunting song that would be called "Shadow And Me." And once again, the writing, recording, and first performance of the song had all happened simultaneously. Steve Ripley (the Tractors), was the heads-up engineer this time, and when he played the track for me, we were both amazed. It was perfect. The last request I made of Leon was to put a string quartet on the piece and make sure the song was on his next album. My request was honored, even though "Shadow And Me" bears little-to-no resemblance to anything else on that album. It's a beautiful and uniquely sad song. 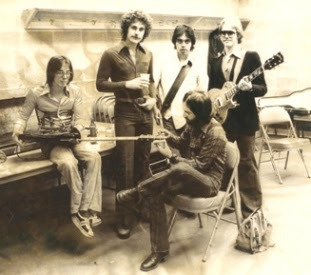 I moved home to Portland and wouldn't see Leon again until sometime in the early 80's, when I took my family to a show he played with the New Grass Revival. Once again, he had taken a hard right turn by teaming up with the best bluegrass band around at the time, resulting in fresh treatments of the songs and a fantastic show. Unable to see him afterwards, it would be another five years before I had another opportunity, when he played Portland again, this time with Edgar Winter in the band. I made a point of sneaking into sound check in the afternoon and handing a note to one of the crew, asking him to get it to Leon. That evening as my girlfriend and I were literally walking out the door to the show, and I was assuming the note had missed its mark, the phone rang, and it was Leon asking for Bob Scaggs. It was a great show and a great reunion. We had put together a big spaghetti feed and were delighted when the bus rolled up to our house after the show, and the whole crew were able to enjoy a late meal before heading down the road. Three days later, we were mysteriously awakened in the early morning hours by what we could only call "a strange feeling" -- like something was up, and we didn't know what. Later that day, Leon phoned again with news that his bass player's mother had suddenly died, and he wanted to know if I could fill in for three shows on bass with the Leon & Edgar Band. I said of course, even though I didn't know any of Edgar's music. I ran out and bought several Edgar albums and started cramming. I flew to LA to watch one show before leaping in the next night in San Juan Capistrano. After that show I was relieved to find Leon was pleased and letting everyone know how well I had closed ranks. Whew! Not long after this, I produced my girlfriend's first solo album (Tenley Holway's All the Way), and we were able to get some lovely keyboard contributions from Leon on a couple of the tracks. He was passing through town again, and I had made arrangements to get him into a local studio where he did a bang-up job for us. It was always effortless and beautiful playing he provided, regardless of the occasion. With time to spare after the session, he suggested we catch a new movie at the time called "Raising Arizona." We found it playing at the Lloyd Cinemas, and off we went. Here's a pic from our time in the studio that day. When Tenley's album was released, we made plans to visit Nashville to shop the record to a few labels. Leon had moved there from LA by then, and he graciously loaned us a beautiful white acoustic guitar to make the rounds with. It was good to be somewhat back in the loop with my old friend. I had missed him. Tenley and I went our separate ways in 1990 but remained close friends until she passed in 2013. In 1991, I met Laurie, and we married four years later. Leon enjoyed calling us Mr. and Mrs. Scaggs, which we happily answered to, and it was sometime in that period that I would perform for the last time with my friend. It was the encore at Starry Night (a club in Portland), and I had made arrangements with guitarist Bob Britt to bring my strat, jump up, and plug in. This time Leon had two of his kids, Teddy Jack and Sugaree in the band, and I will be forever grateful that on this occasion, we were able to host our friends for one more home-cooked meal. In 2000, I released my CD, Barcelona, and sent a copy to Leon. He loved it and suddenly was once again offering to sign me to his label. Imagine that. I was knocked out and flattered, and despite a heartfelt campaign of thoughtful, personal emails that followed, going into great detail on why I should consider his offer, and all signed, "REGARDS, LEROY ROSSELLE," I declined to re-sign with my old friend. Being reminded by the Master that I was still a "brilliant" record maker definitely put some wind in my sails though and touched me deeply. All these years later, it was wonderful to know we still meant a lot to each other. In those discussions, we touched on the prospects of me joining Leon's touring band again. This aspect of our possibly collaborating in the future was still on the table, so we agreed I would fly to Nashville and audition on drums. I loved the idea of drumming in Leon's band, and this would be the first time I would meet his new wife, Jan, who I loved. She said Leon had been excited about us maybe working together again. We went right to it, but within a half an hour Leon knew that I wasn't going to cut it. In spite of being very nice about telling me, I was crestfallen. He suggested I join on another instrument. But it wasn't to be. This would be the only time I would see the Hendersonville house, and I still remember upon arriving, seeing Leon on his power mower, cutting a swath for me through some tall grass to the guest cottage in the back yard. The years that followed would drift into tougher times, and it was hard to see my friend in a perpetual mode of constant touring and living mostly on a bus that was always breaking down. He was becoming less engaged at his shows, and it become harder to get in touch with him. Emails and phone numbers were changing. Finally, the clouds broke when Elton John reached out to Leon, and the two collaborated on the much celebrated CD, The Union. I know there was a large camp of people with whom Leon had shared his life who were thrilled to see this happen and what it did for him. It brought him back so far out of his shell, he was a different person. He was gifted a new tour bus and earned a new hit record out of the deal. He suddenly was talking up a storm at all his shows, telling stories, and accepting the love. When Leon played Portland in 2015, we decided to try the sound check approach once more. We drove down to the club in the afternoon and found Jackie Wessel, Leon's longtime bass guitarist, who was kind enough to get us onto the bus for what became my last visit with the Master. He was in good spirits, happy to see us, and shared lots of news. It was a simple few minutes that meant the world to me. Leon played Portland one final time in 2016, and Laurie was able to catch the show with a friend. She brought him a copy of my new CD, Suite Woogie, which is a song cycle tribute to one of our cats who we lost in 2010. Although I didn't hear back, I like to think he heard the CD and liked it. I'm learning "Bluebird" right now for a solo performance later this month, and the song is so beautiful and magical to play. 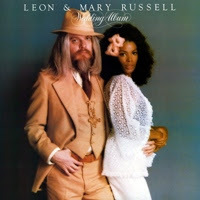 It's one of those that almost performs itself, and it makes me think of all the many things that were so entirely unique and marvelous about Leon Russell. I truly feel I was touched by magic, to have been a blip on the radar of his life, and writing this tribute has reminded me of so much more, so many more anecdotes of quality hijinks that I was a part of, as well as those of a more personal nature. Beautiful tribute, Gary. Thanks so much. I wonder if you ever crossed paths with Judee Sill (two albums on Asylum)? I am making a documentary about her. Thanks again. 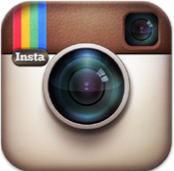 Such an amazing insider account from one of our own PDX musical shining stars. Bravo! That's a wonderful insight into Leon's life. I grew up in Tulsa and became fascinated by him and his music since the first time I heard Roll Away the Stone on the local AM radio. There will never be another like him. Thanks for telling this story. 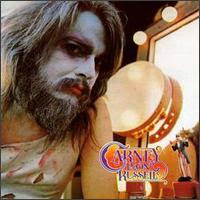 Long live the memory and the music of Leon Russell (Bridges) ! What a beautiful tribute to Leon. As a VERY young girl I was a regular at Winterland and Fillmore West in San Francisco. Bill Graham 'side eyed' watched over us, forcing an arms length from the backstage scene and artist. 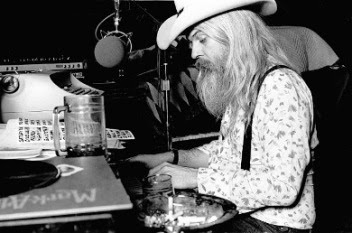 have seen every show by Leon Russell, every album and cried myself to sleep when I heard of his passing. Beside the music and the imaginative stage performances, Leon always reached out to his fans. Who would remember my name every time he spotted me? Or grumble a 'hey, watch it' when someone backstage became too familiar. Such a gentlemen, such a man. I'm reading about the harder, years and my heart is heavy. America has lost an icon. But the impact to the world you leave is as important to the life you lived. I hear so much of Leon in the new music coming out. The Master will clearly define space and time. Love. What a wonderful tribute! How blessed you were. Our group of Leon Lifers still had trouble believing we will never see him again. Here's to the Master of Space and Time. Leon IS. Don't stop now! I love it! More! More! LEON'S MUSIC & MEMORIES OF HIM WILL LIVE ON FOR EVER IN THE SPACE & TIME OF OUR LIVES FOR EVER !